MainAll NewsInside Israel'Cofix revolution' to reach Israeli hospitals? 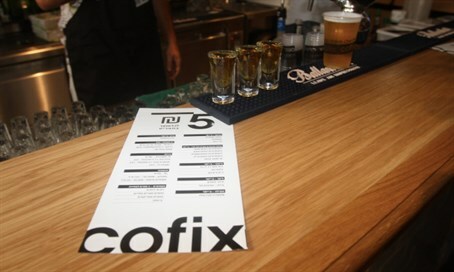 'Cofix revolution' to reach Israeli hospitals? Health Ministry conducting talks with the 5-shekel coffee chain to lower prices in hospital food courts, ease burden on patients' families. Health Minister Ya'akov Litzman (United Torah Judaism) has set his sights on a new goal this week: bringing the "Cofix revolution" to hospitals nationwide. In 2013, entrepreneur Avi Katz opened Cofix, a cafe which offered a variety of coffees, sandwiches, and other Israeli staples for the price of just five shekels ($1.29) - at a time when the price of a small latte averaged 7-9 shekel ($1.81-2.33). He single-handedly began a revolution in coffee prices nationwide after multiple competing chains opened, adding competition. Now, hospital visitors may be able to enjoy the same benefits. Most Israeli hospitals have food courts for visiting relatives, where prices are artificially steep. "The high prices presented to patients' families is oppressive and we must stop it," Litzman stated at a Globes health and business conference this week. Katz confirmed that he is working with Litzman on the issue. "It would have been worth establishing Cofix if only to drive down hospital food prices alone," he said. "I took up the challenge and am working with Minister Litzman to promote the issue." Litzman noted to Maariv Wednesday that the two have had to consult legal and professional consultants about the move. Another senior Health Ministry official, on condition of anonymity, added that Cofix is one of several chains being considered to partner with the Ministry to lower prices in general in Israeli hospitals. But hospital officials have pointed responsibility for the current situation squarely at the Ministry itself. "Were cafe arrangements in hospitals determined by the hospitals, instead of the Ministry of Health, we would have far lower prices today," Prof. Roni Gamzu, director of Ichilov Hospital in Tel Aviv, reflected Wednesday. "We would be directly responsible for the entire hospital, and thus we could work with suppliers more efficiently to reduce prices. As of now, we cannot franchise."